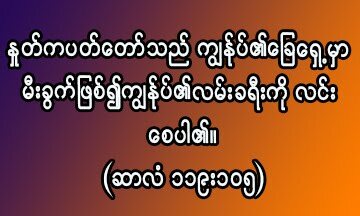 SundaySermons.online: မိခင္ဟူသည္ . . .